New! Charentes village house 17 A 3 bedroom house, for four people, in a small village close to Saintes and a choice of sandy beaches. Garden and patio. New! Manor house near Bordeaux 40 5 bedroom rural country manor house with pool, near Bordeaux. Sleeps 15. Enclosed extensive gardens surrounded by forest. Dogs welcome! Gite with pool near Lozay 17 Idyllic holiday cottage with two bedrooms sleeping up to 7 people with swimming pool in Lozay within one hour of beaches, airports. Charente Maritime, near La Rochelle Gite with swimming pool in a renovated farm, in a calm location 8 mins from La Rochelle and the isles of Charente Maritime. Gites with heated pool In the Charente Maritime 15 minutes from La Rochelle and the coast, four child friendly gites . Games room, wifi, playing field, baby equipment. Gites and B&B 85 - Four small gites + B&B accommodation in a domain located at the edge of a small village in peaceful location. ideal setting to enjoy the things that make life worthwhile. 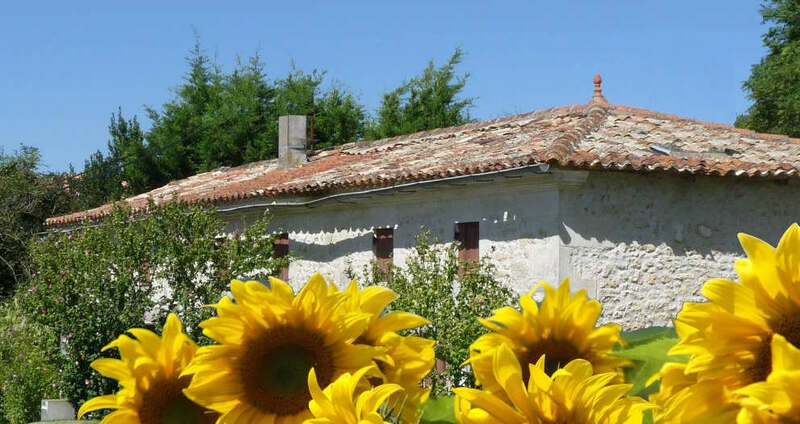 Large capacity gites 17 : For up to 26 - Chateau in Charente Maritime area sleeping up to 16, and gite for up to 10 in countryside with grounds, gardens, stunning views and large pool. Rural Charentes cottage 17 A small rural gite with a pool, la Maisonette is a stone cottage built in 1819; it has 2 double bedrooms, large living room, fully equipped kitchen and swimming pool. Charentes village house 17 A 3 bedroom house, for four people, in a small village close to Saintes and a choice of sandy beaches. Garden and patio. Bordeaux wine country 33 A lovingly restored gite with pool nestled in the vineyards of Bordeaux wine country. Relaxing and peaceful but close to wonderful places to visit. Sleeps 3. Rural Gascony 40 Large family gite in peaceful rural location. Sleeps 8, private pool and gardens. 4 bedrooms, 2 bathrooms, dining/breakfast room, large sitting room. Covered terrace. Manor house near Bordeaux 40 5 bedroom rural country manor house with pool, near Bordeaux. Sleeps 15. Enclosed extensive gardens surrounded by forest. Dogs welcome! Gites for couples 16 Quality gites for couples with heated pools in south west France, one with private heated pool the other with large heated pool and hot tub..
Tranquille Vienne Three gites, one offering 3 bedrooms and two with 2 bedrooms, 8m x 4m pool set in a quiet hamlet near Confolens and St Junien. Brand new larger pool for 2015. Large gite in Charente 16 Luxury accommodation for up to 10 people with heated private swimming pool. 2 double beds with en-suite and 3 twins with separate bathroom, all linen provided. Free wifi, sat TV. Two gites in rural Charente 16 + In a former farm situated in the stunning Charente countryside but close to a large village, our 2 gites offer good individual privacy. There is a large shared pool and play areas. Gite with garden & pool 16 La Grange Souris is a holiday rental gite that has been converted and refurbished to a high standard. Private garden and pool. Four bedrooms; sleeps 9 people. Gite with garden & pool 16 - La Maison Seronera is a holiday rental Farmhouse that has been refurbished to a very high specification with private garden and pool. Sleeps 11 ,. Gites near Melle - Three beautifully restored, family friendly gites. Sleep 11, 6, 4. Heated pool & playbarn. Bikes +child seats. Peaceful hamlet location near many sites of interest. Gite for two 79 - A beautiful gite of high caliber, with sun deck and private garden, located in a peaceful French hamlet in La Foret sur Sevre, Nouvelle Aquitaine. Flexible booking periods for most of the year. Southern Vendée, near Luçon Two family friendly holiday homes, with large heated pool, gamesroom and gardens. 15km from the southern Vendée beaches. Gites in the heart of Vendée Two restored farmhouses sharing a pool and large gardens, set in a peaceful hamlet with stunning countryside views. Less than an hour to Vendee beaches. Gite in south Vendee - Sleeping 4 to 6, restored and modernised, this 3 épis and 4 star cottage makes a comfortable base from which to explore the beautiful Vendee. Vendee village gites - Two village gites in the Vendee, sleeping 8 or 6 people. Each gite has private garden and its own heated pool. Easy access to the coast. La Cour - Southern Brittany - Converted Barn (sleeps 10) and two pretty, stone cottages (sleeps 4/5) in a peaceful hamlet surrounded by beautiful Breton countryside. 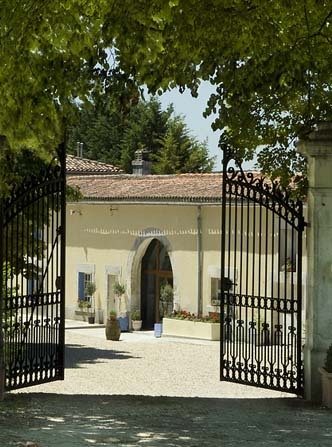 Some owners may ask you to book through the "Gîtes de France" organisation or through an online booking portal. Traditional gites in Vendée, Charentes and Aquitaine, including the departments of Deux-Sèvres, the Gironde, and les Landes. Best rates, no extra fees ! With Gitelink, book directly with owners, and avoid the booking fees, administrative charges or credit card fees charged by many online holiday accommodation sites. The Atlantic coastal areas of France are popular holiday destinations. The Charentes are reputed to be one of the sunnier areas of France, and the coast offers many long expanses of sandy beaches. Parts of the coast also support a fishing and shellfish industry, with small fishing ports and oyster beds. 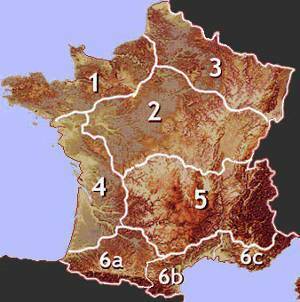 Behind the coast, the region is mostly flat, with mixed agriculture in the northern parts, many vineyards in the middle, and pine-forests in the south, below the Gironde estuary. Western channel crossings to Roscoff, Cherbourg or Caen. From Calais, motorway via Rouen and Orleans. Regional airports: Nantes, La Rochelle (Charente Maritime) , Bergerac (Dordogne) , Bordeaux (Gironde), Poitiers, Limoges. The Loire Atlantique and Vendée are part of the Pays de la Loire region. Deux Sèvres and the Charentes are in the Poitou-Charentes region. The remaining departments are part of the Aquitaine region. 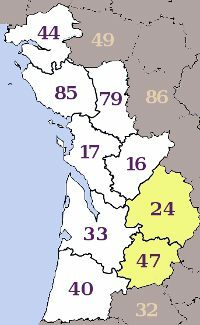 Nantes, St. Nazaire, Les Sables d'Olonne, Poitiers, Niort, Périgueux, Angoulême, La Rochelle, Bordeaux.